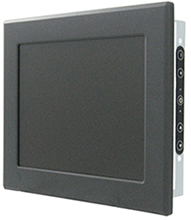 Having a widescreen monitor can offer several benefits over the traditional square style, a wide monitor is able to show multiple applications at once, give you more working space for applications with menus and show HD pictures and videos in their true form. 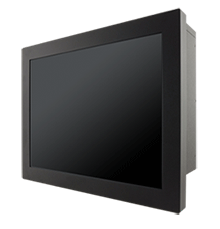 Having a widescreen monitor is the future of computing and knowing how important this is for productivity and ease of use, Winmate is adding 15.6", 18.5" and 19" wide screen panel PC's into our Bay Trail product line. Using Intel's latest 1.83GHz Bay Trail N2930 processor and optional Windows Embedded 7.0/8.0 makes for an exceptionally quick pc. 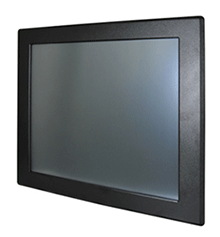 The touch screen comes in either 4 or 5-wire resistive touch and hardware options include a DDR3L 1066/1333 MHz SO-DIMM Slot (8GB), one USB 3.0, one USB 2.0, one RS232/422/485 serial port, two RJ45-10/100/1000 LAN ports, as well as a mini PCIe slot (for wireless module and SATA SSD). 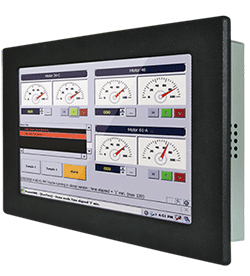 The device is designed to meet the toughest industrial conditions while maintaining high performance and low power consumption in a Panel PC form factor system. 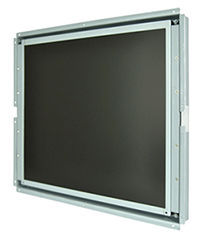 Winmate has launched a wide range of industrial Panel PCs with different housing options to accommodate all types of deployment; this includes front IP65 sealed, Chassis or Panel Mount, and Open Frame designs.